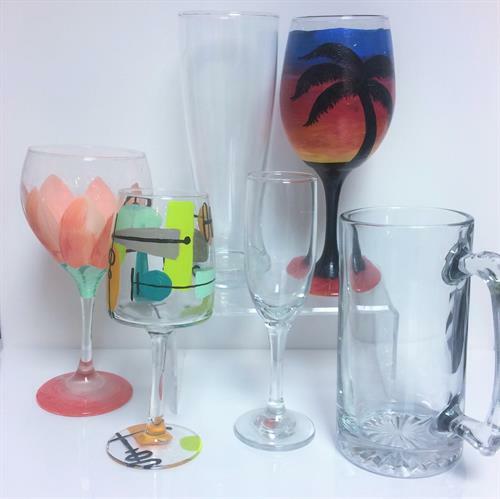 Choose from a variety of glass styles - beer steins, wine glasses, champagne glasses, vases, and jars. Paint your piece however you like! Take as long as you want and use all of our materials. $10 includes everything you need to paint your own piece. Take home your glass the same day.